The Leeward Islands are located between Puerto Rico and Dominica. Each island is different making it an ideal area to cruise on a private yacht or enjoy a luxury yacht charter in the Caribbean. On one side, each one faces the mighty Atlantic and on the other, the calm waters of the Caribbean gently caress the shores. 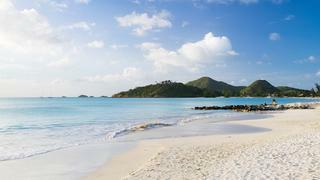 The islands are made up of St Martin, super-chic St Barths, historic Antigua and lush St Kitts and Nevis. This seven-day itinerary takes you on a whirl-wind, non-stop action tour where one day you will find yourself on the top of Shirley Heights overlooking Nelson’s Dockyard in Antigua and the next aimlessly meandering around the waters surrounding St Kitts and Nevis. It is the perfect mix of everything and nothing. Day 1: Idyllic beaches and low-flying aircraft St Martin, with its numerous superyacht marinas and international flights, is the logical place to start a charter in the Leeward Islands. Depending on what time you arrive, subtle yourself aboard your yacht and then take a taxi over to Orient Bay, one of the best beaches in the Caribbean. At the end of the day take taxi to the Sunset Beach Bar at the end of the airport runway. Princess Juliana International airport is regularly voted to have one of the most scenic runways in the world because planes skim over the beach as they land. When you’re bored of watching tourists get themselves sand-blasted, return to your yacht and see what the chef has rustled up for dinner. The Leeward Islands are located between Puerto Rico and Dominica. Each island is different making it an ideal area to cruise on a private yacht or enjoy a luxury yacht charter in the Caribbean. On one side, each one faces the mighty Atlantic and on the other, the calm waters of the Caribbean gently caress the shores. 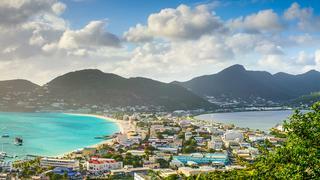 The islands are made up of St Martin, super-chic St Barths, historic Antigua and lush St Kitts and Nevis. This seven-day itinerary takes you on a whirl-wind, non-stop action tour where one day you will find yourself on the top of Shirley Heights overlooking Nelson’s Dockyard in Antigua and the next aimlessly meandering around the waters surrounding St Kitts and Nevis. It is the perfect mix of everything and nothing. St Martin, with its numerous superyacht marinas and international flights, is the logical place to start a charter in the Leeward Islands. Depending on what time you arrive, subtle yourself aboard your yacht and then take a taxi over to Orient Bay, one of the best beaches in the Caribbean. At the end of the day take taxi to the Sunset Beach Bar at the end of the airport runway. 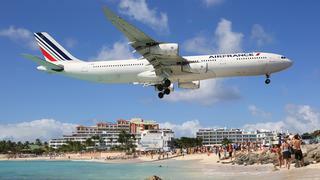 Princess Juliana International airport is regularly voted to have one of the most scenic runways in the world because planes skim over the beach as they land. When you’re bored of watching tourists get themselves sand-blasted, return to your yacht and see what the chef has rustled up for dinner. 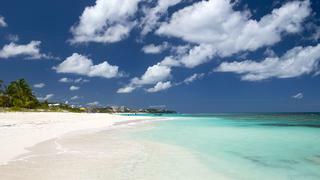 After a leisurely breakfast, and an inspection of the other yachts in the marina, head north to Anguilla. This is a pretty short hop of barely 15 miles, so you’ll be there in plenty of time for lunch. Drop the anchor in Sandy Ground and decide how best to get to Scilly Cay for lunch… by sea or by land. Scilly Cay is something of an Anguilla tradition, a restaurant on a tiny cay in the middle of Island Harbour Bay that specialises in lobster, but the cay is surrounded by reefs and can be tricky to get to if you don’t know these waters. If there is a crew member capable of taking you on a tender, so much the better, but otherwise grab a taxi to Island Harbour, stand on the beach, and wave furiously until Scilly Cay sends their boats to collect you. Write-off the rest of the afternoon as you drink fantastic rum cocktails and eat delicious barbecued lobster on a tiny island with white sandy beaches and palm trees. Can it really get any better than this? After a leisurely breakfast, and an inspection of the other yachts in the marina, head north to Anguilla. This is a pretty short hop of barely 15 miles, so you’ll be there in plenty of time for lunch. Drop the anchor in Sandy Ground and decide how best to get to Scilly Cay for lunch… by sea or by land. Scilly Cay is something of an Anguilla tradition, a restaurant on a tiny cay in the middle of Island Harbour Bay that specialises in lobster, but the cay is surrounded by reefs and can be tricky to get to if you don’t know these waters. If there is a crew member capable of taking you on a tender, so much the better, but otherwise grab a taxi to Island Harbour, stand on the beach, and wave furiously until Scilly Cay sends their boats to collect you. Write-off the rest of the afternoon as you drink fantastic rum cocktails and eat delicious barbecued lobster on a tiny island with white sandy beaches and palm trees. Can it really get any better than this? From Anguilla, turn south past St Martin and head for St Barts – which is the Caribbean island that will suit you if you are looking for exclusivity. St Barts is seriously chic and the rich and famous have been coming on holiday here for decades. 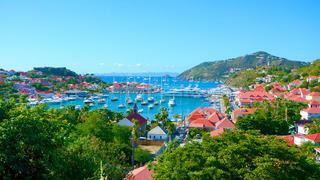 Gustavia, on the west coast, is the main port, and it has excellent facilities for superyachts. On shore, the atmosphere is very French, as are the shops (Cartier, etc), and you could easily spend a couple of hours strolling, shopping, and sitting in cafes watching the world go by. However, St Barts is famous for its white sandy beaches, so do a lap of the island in the tender (about 15 miles), stopping at any of the 32 gorgeous beaches that take your fancy. In the evening, book a table at the Eden Rock or Bonito Restaurant for a very special dinner. From Anguilla, turn south past St Martin and head for St Barts – which is the Caribbean island that will suit you if you are looking for exclusivity. St Barts is seriously chic and the rich and famous have been coming on holiday here for decades. Gustavia, on the west coast, is the main port, and it has excellent facilities for superyachts. On shore, the atmosphere is very French, as are the shops (Cartier, etc), and you could easily spend a couple of hours strolling, shopping, and sitting in cafes watching the world go by. However, St Barts is famous for its white sandy beaches, so do a lap of the island in the tender (about 15 miles), stopping at any of the 32 gorgeous beaches that take your fancy. In the evening, book a table at the Eden Rock or Bonito Restaurant for a very special dinner. 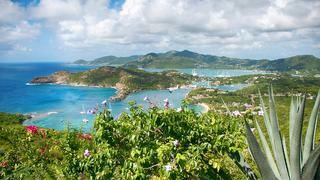 From St Barts, turn south-east and head for Antigua. This is going to take a few hours, so settle down somewhere with a good book as the inky blue Caribbean Sea slips beneath your yacht. You should be approaching Antigua shortly after lunch, and if at all possible you should try and moor up in Nelson’s Dockyard, a stunningly picturesque and historical location. If you can’t get in there, Falmouth Harbour in the next bay along has fantastic facilities for superyachts. Spend the afternoon exploring Nelson’s Dockyard on foot, and maybe take a walk out to Fort Berkeley with its fantastic views out to sea and back over Galleon Beach English Harbour. In the evening, sit out on deck with a large rum cocktail and enjoy the Calypso music drifting down from the nightly party up on Shirley’s Heights. From St Barts, turn south-east and head for Antigua. This is going to take a few hours, so settle down somewhere with a good book as the inky blue Caribbean Sea slips beneath your yacht. You should be approaching Antigua shortly after lunch, and if at all possible you should try and moor up in Nelson’s Dockyard, a stunningly picturesque and historical location. If you can’t get in there, Falmouth Harbour in the next bay along has fantastic facilities for superyachts. Spend the afternoon exploring Nelson’s Dockyard on foot, and maybe take a walk out to Fort Berkeley with its fantastic views out to sea and back over Galleon Beach English Harbour. In the evening, sit out on deck with a large rum cocktail and enjoy the Calypso music drifting down from the nightly party up on Shirley’s Heights. Leave the yacht in harbour, and take the tender out to explore Antigua. All along the south coast there are beautiful white sandy beaches, rocky outcrops, and turquoise waters. Beach-hop along the coast, stopping where you fancy, maybe grabbing lunch and a rum-runner on a beach that particularly takes your fancy, and snorkelling around the reefs. With 365 beaches to choose from, you really are spoiled for choice and despite the popularity of luxury yacht charters in Antigua it is still possible to find secluded anchorages. Back at the yacht, grab a taxi and take a trip up to Shirley’s Heights, where you get spectacular views of Nelson’s Dockyard, and maybe a sundowner or two. Leave the yacht in harbour, and take the tender out to explore Antigua. All along the south coast there are beautiful white sandy beaches, rocky outcrops, and turquoise waters. Beach-hop along the coast, stopping where you fancy, maybe grabbing lunch and a rum-runner on a beach that particularly takes your fancy, and snorkelling around the reefs. With 365 beaches to choose from, you really are spoiled for choice and despite the popularity of luxury yacht charters in Antigua it is still possible to find secluded anchorages. Back at the yacht, grab a taxi and take a trip up to Shirley’s Heights, where you get spectacular views of Nelson’s Dockyard, and maybe a sundowner or two. After breakfast, take one last turn around this fabulous dockyard before you head off to explore another island. From Antigua turn north-west and make for Nevis and St Kitts. These two islands are amazingly lush and green, but their relative lack of beaches means that they have escaped the worst of the tourist boom. However, with Christophe Harbour superyacht marina now officially open more superyachts are heading to the islands. Last year St Kitts and Nevis enjoyed a record superyacht season. If you want to see the Caribbean as it used to be, rather than as an extension of the US mainland, then this is where you should look. There are no is duty-free shopping centres, just a sleepy Caribbean island that hasn’t changed much in 50 years. Take the tender ashore, get a taxi, and explore the interior of St Kitts. Your opportunities for “fine dining” are going to be limited here, so ask the chef on your yacht to pull out all the stops in the evening. After breakfast, take one last turn around this fabulous dockyard before you head off to explore another island. From Antigua turn north-west and make for Nevis and St Kitts. These two islands are amazingly lush and green, but their relative lack of beaches means that they have escaped the worst of the tourist boom. However, with Christophe Harbour superyacht marina now officially open more superyachts are heading to the islands. Last year St Kitts and Nevis enjoyed a record superyacht season. If you want to see the Caribbean as it used to be, rather than as an extension of the US mainland, then this is where you should look. There are no is duty-free shopping centres, just a sleepy Caribbean island that hasn’t changed much in 50 years. 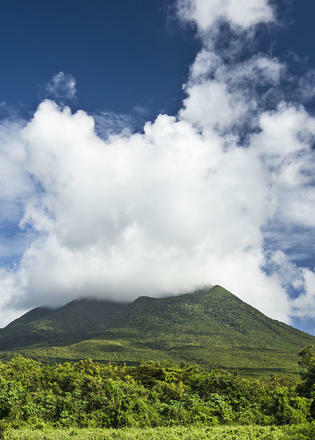 Take the tender ashore, get a taxi, and explore the interior of St Kitts. Your opportunities for “fine dining” are going to be limited here, so ask the chef on your yacht to pull out all the stops in the evening. From St Kitts it is only a couple of hours cruise back to St Martin. If you start early you could spend a few hours at anchor off St Martin, or you could return to your birth and do some serious duty-free shopping at the end of your vacation. It’s a win-win, either way!